In our monthly instalment of Multilingualism in my family, we meet Ivana and her lovely family raising a daughter in Germany. I have known Ivana personally for a few months now and I admire her determination with passing on so many languages (Slovenian, Croatian, Italian, German and English) to her daughter. Make your own opinion by reading her story. Dad speaks Italian and I speak (mainly) Croatian to our daughter. The family language is predominantly Italian, though Dad understands and throws in some Croatian at times. German is the community language and Danica speaks it in kindergarten and everywhere else, mainly Italian to both of us and sometimes Croatian (she will speak Croatian to me especially when we’re in Italy). Dad and I use English as our “secret” language for the time being. German in the kindergarten and everywhere else. Slovenian, as we go to a Slovenian school for Slovenes living abroad (Danica and I are Slovenian citizens) – generally once a week for about 2 hours. English – Danica has expressed a strong wish to learn English as she hears me speak it often and feels left out (it was a joint decision taken by Dad & myself before she was born that I would speak Croatian to her, as that is the more “difficult” language, even though English is actually my 1st language). She goes to English lessons once a week and they also have an hour of “Toy Talk” English per week in the kindergarten as well. 6. 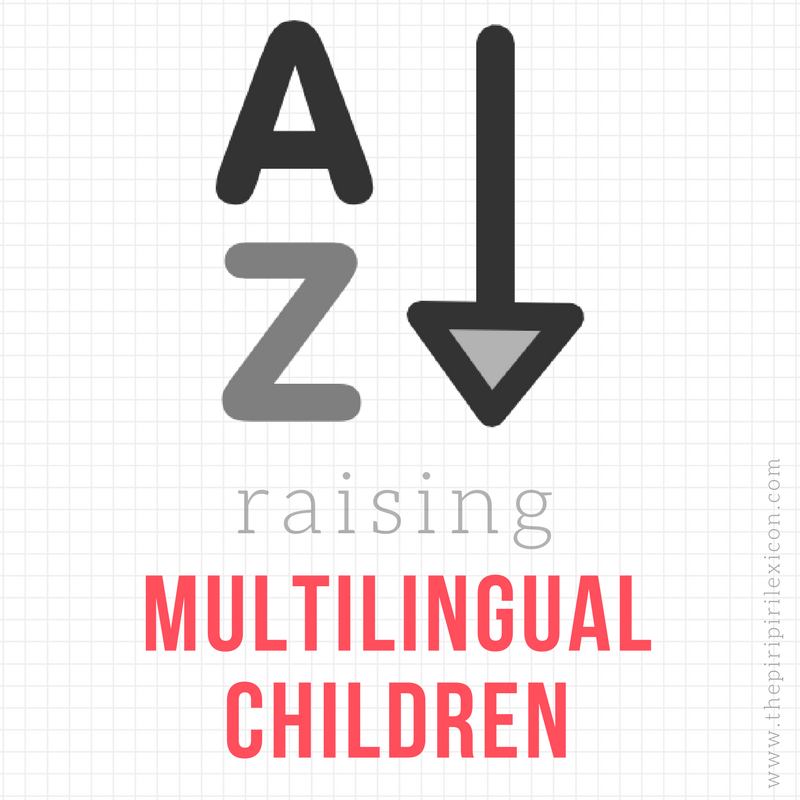 If you had to put percentages on the languages your child(ren) hear what would they be? Even before Danica was born we knew that one day we would teach our children Croatian and Italian from the start. I was raised bi/trilingual, so that was the logical route to take. We decided for OPOL (one person-one language) even though we weren’t sure how it would work out. We didn’t want to read too much about how to raise bilingual children, and take a fixed approach, but rather find out what would work best for us. Of course pure OPOL is difficult to maintain sometimes, especially when the three of us are together, as that means I have to say something first in Croatian and then repeat in Italian, and it doesn’t really work out that way in reality all the time, as it’s tiresome, and lengthy. Initially we lived in Slovenia and Danica was also exposed to a lot of Slovenian, she also started going to the crèche there and in fact her first words were in Slovenian. Then, when Danica was 1 ½ we moved to Germany, which complicated things a bit, as neither I nor Dad spoke German (ok Dad learnt it at school but had forgotten most of it in the meanwhile), so the three of us were all thrown into this new environment and language and of course Danica is the one who is the “sponge”, absorbing the language as she grows. The funny thing is that she refuses to speak German to us, probably knowing that our level of German is not as good as hers. When we moved to Germany we maintained the OPOL at home but also bought a lot of children’s songs and books in German to help Danica transition smoothly to the new environment and learn new words (and it helped us tremendously as well). We also tried maintaining at least a bit of Slovenian, so that she can recognize the language and understand when people speak to her. A loose OPOL works pretty well for us. German is Danica’s majority language, but when we do homework we read the task in German first, then we do the homework in Croatian or Italian (depending on who is helping her) and then when we have finished we do a little recap in German, so that she develops vocabulary in all of the languages. Sometimes she’ll do better if we do homework in Croatian, sometimes Italian. Just to be on the safe side she has understood things I explain in Croatian and if I feel she’s not grasping it, I will also explain in Italian. We are also lucky as we have the possibility to go to Italy and Croatia relatively often so Danica is also exposed 100% to one of the languages 24/7 and this helps her linguistic skills greatly. After a trip to Italy or Croatia you see a great leap forward in her linguistic development. Nothing really comes to mind, perhaps that Croatian is “limping” a bit with respect to German and Italian, but it is to be expected as I am the only person who speaks Croatian with her. Nothing much really except try and boost exposure to Croatian. This summer we were lucky because a friend found us a Croatian nanny, a young and charming young girl (who also speaks Italian, but she was told not to use it, as Danica quickly turns to Italian if she can) who would go to the beach with Danica and spend time with her, and it was simply brilliant, as they bonded quickly and because Danica found her so interesting she was motivated to speak more Croatian (not just speaking to Mum which ends up being monotonous in the end). Well, as I said recently in our Multilingual Facebook group – nothing much intriguing about us, we are just playing the cards we were dealt. And to conclude – thank you very much for asking me to contribute to your blog! Ivana, will you have the nanny again this summer? I would love to have a Francophone nanny for my kids here in the US. It sounds like a wonderful way to immerse children in the target language. Bravo to you for juggling so many languages in your family successfully! Oh, sorry Sarah, I hadn't seen your question at all until now! Yes, we had the same babysitter in Croatia this year, and it worked wonders! Danica was so happy to see her, and they had so much fun together and the amount and level of expressions, the speed of talking and her confidence benefited a great deal. I also have to add that we spent 3 months in Slovenia during spring and her Slovenian also got a good boost. 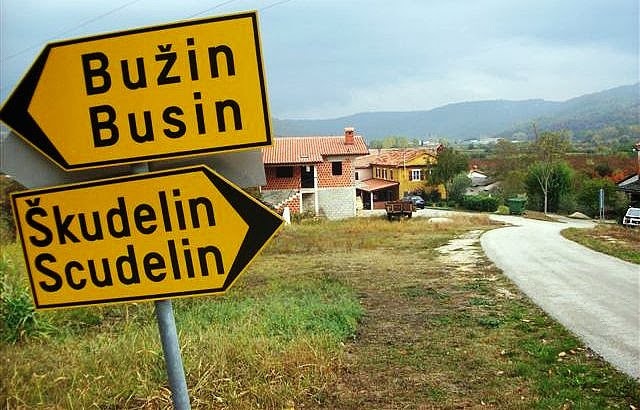 She does have some difficulties with it, due to its similarities to Croatian - she understands it perfectly, but will mix both languages in her replies.